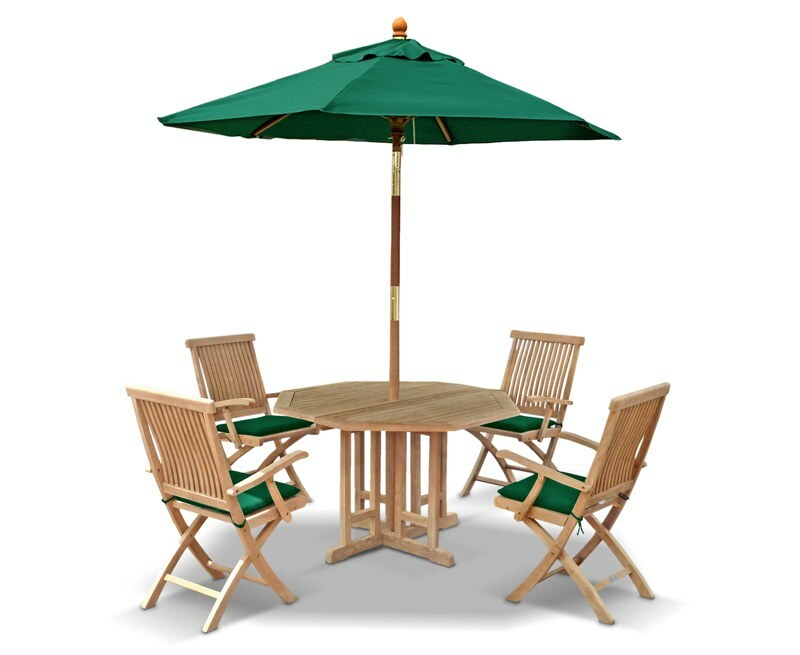 This four seater octagonal garden gateleg table and folding armchairs set is ideal for lengthy afternoons spent outdoors, whether you're dining, entertaining or relaxing. 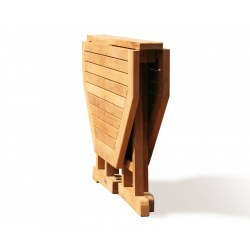 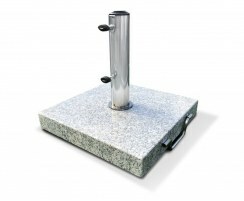 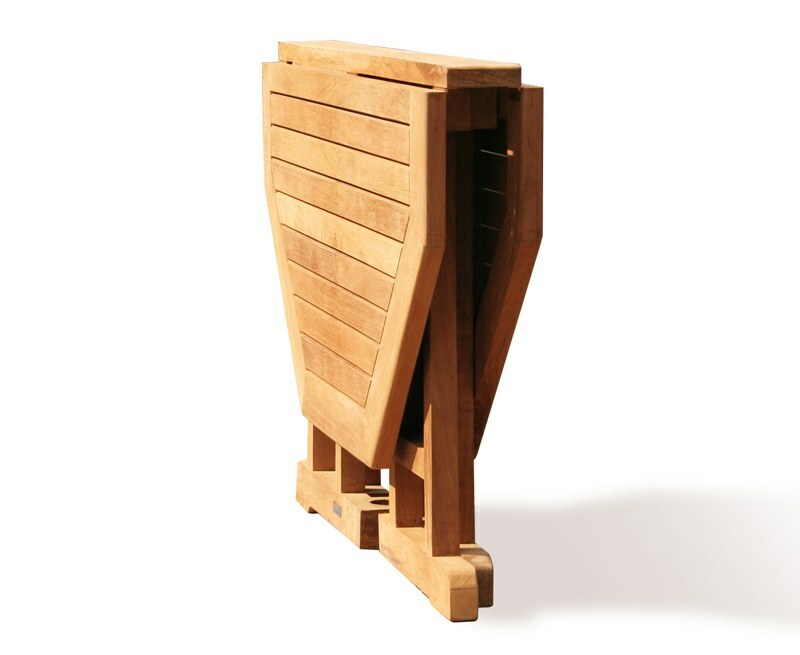 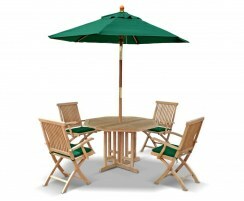 This octagonal garden gateleg set is a functional yet stylish choice, representing excellent value for money. 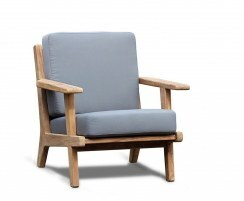 This four seater octagonal garden gateleg table and armchairs set has been crafted from sustainable, durable grade-A teak for long life and aesthetic appeal. 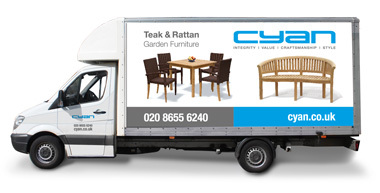 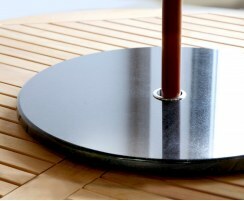 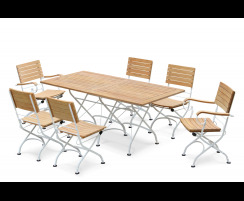 Requiring virtually no maintenance, this dining set can remain outdoors all year round, even in the harshest weather conditions. Both the table and chairs easily and conveniently fold flat for storage, so you have the option to reclaim your space should you need it. 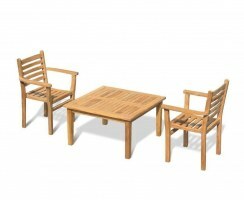 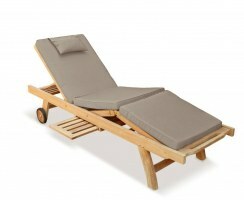 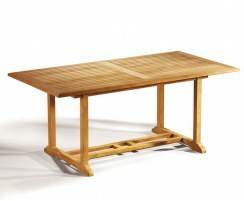 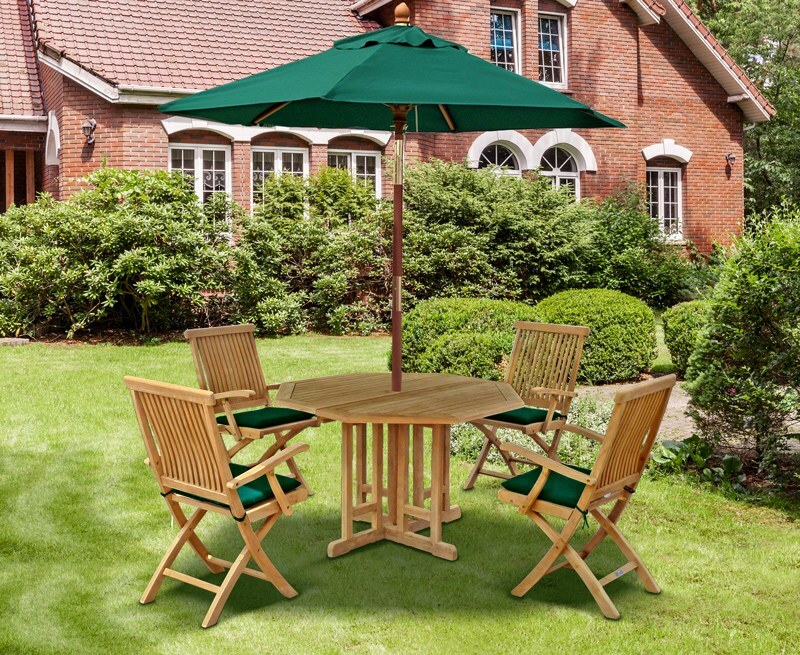 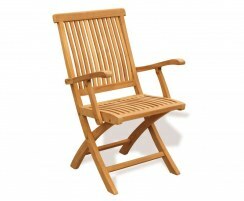 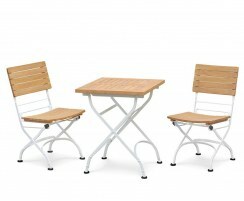 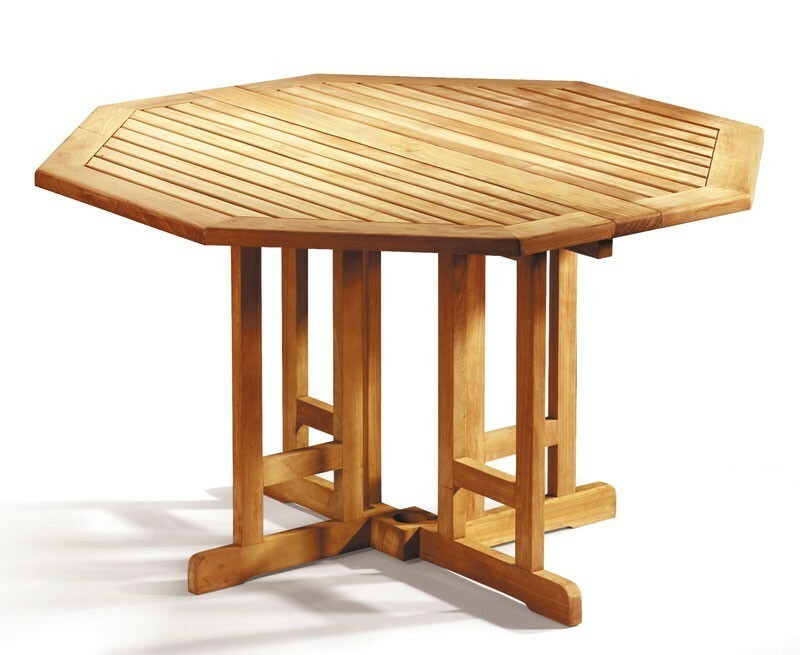 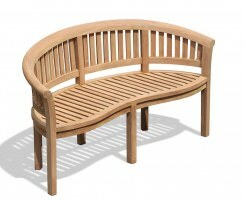 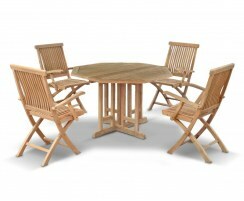 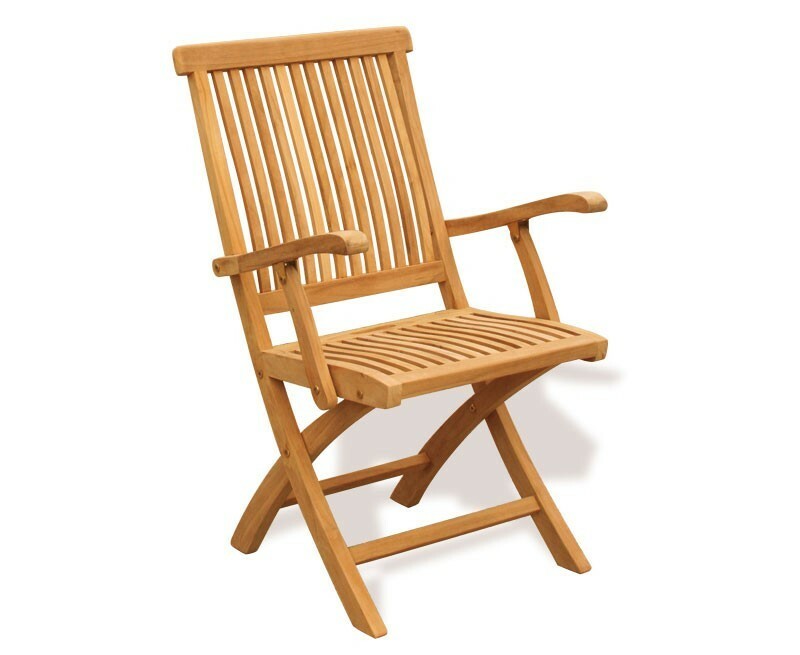 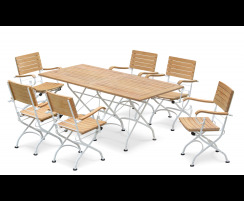 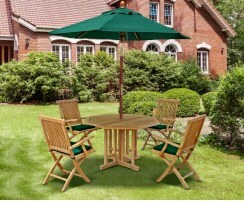 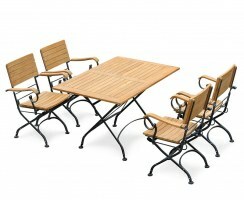 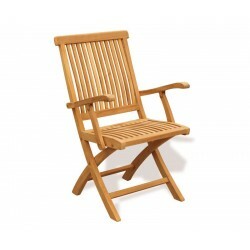 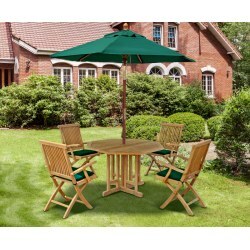 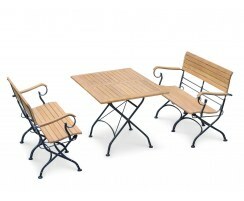 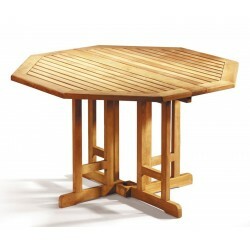 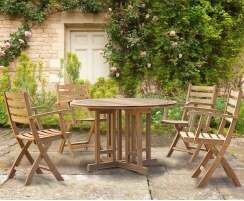 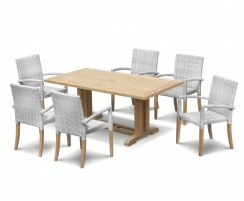 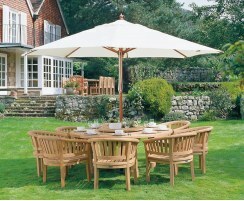 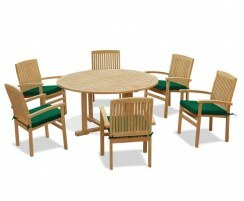 This garden gateleg patio teak dining set will be delivered fully assembled for your immediate enjoyment. 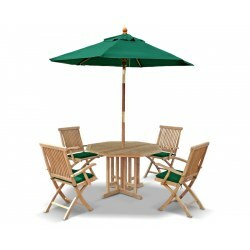 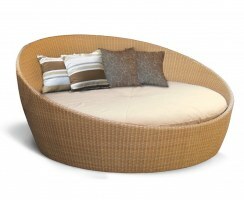 Why not accessorise this patio dining set with the addition of cushions and a parasol, (not included, available separately).